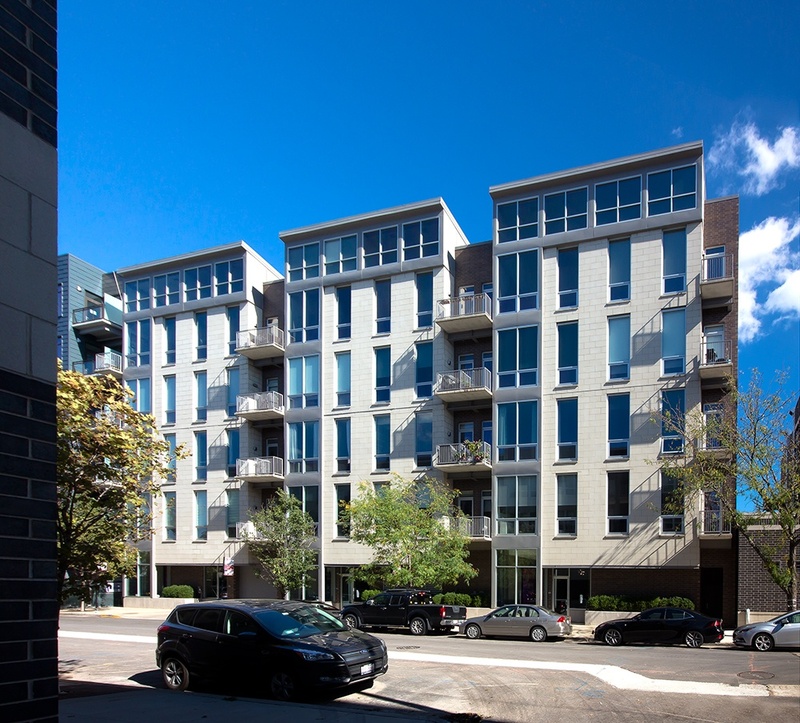 2845 Belden Avenue is designed for young professionals in Chicago’s burgeoning Milwaukee Avenue corridor of Logan Square. 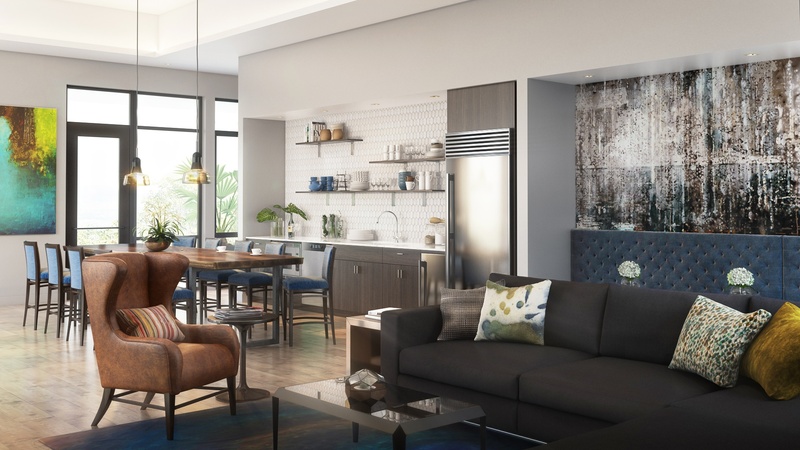 These residents are hip, they’re engaged, and they seek new social connections in their choice of residences. As such, 2845 is a social hub and an Instagrammer’s dream. 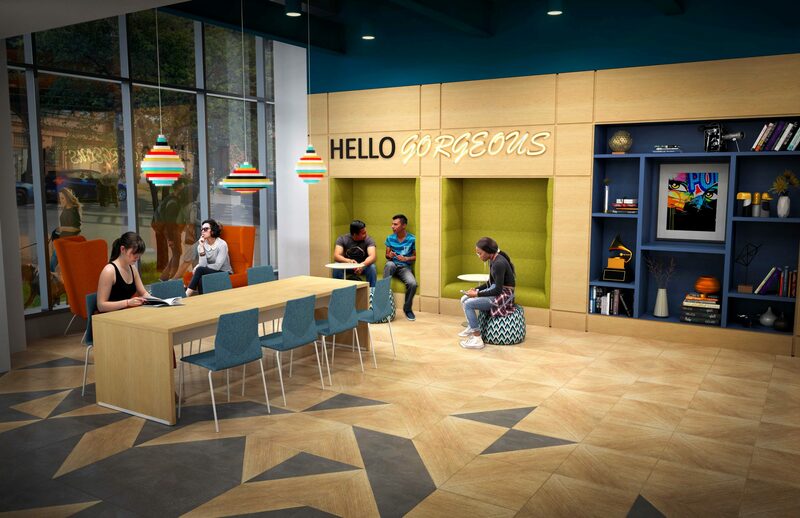 The photoshoot opportunities start in the lobby with custom millwork that includes “Hello Gorgeous” in neon to welcome anyone that steps into the building. 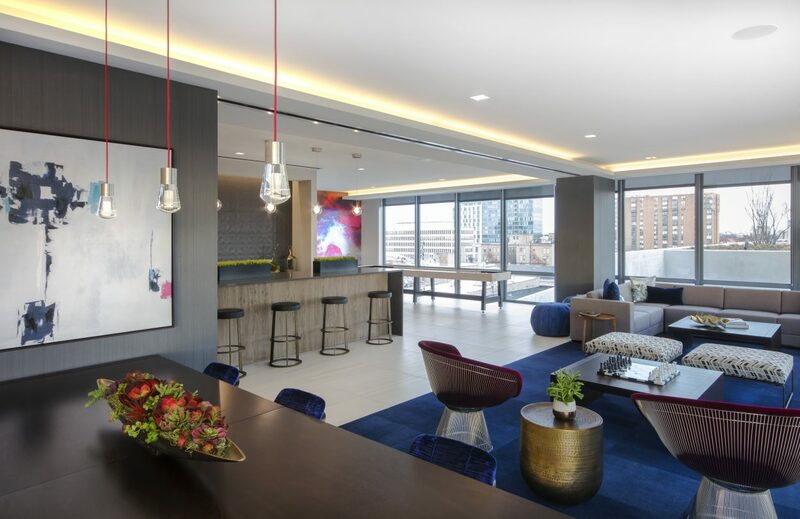 The lobby space also includes a community gathering table and several seating options in bright colors that will pop in any photo. The photo-ops don’t stop there though; as you make your way back to the elevator lobby you walk along a custom art gallery wallcovering and when you step into the elevators you are, once again, greeted by the building through a floor mosaic saying “Good Luck Out There”. 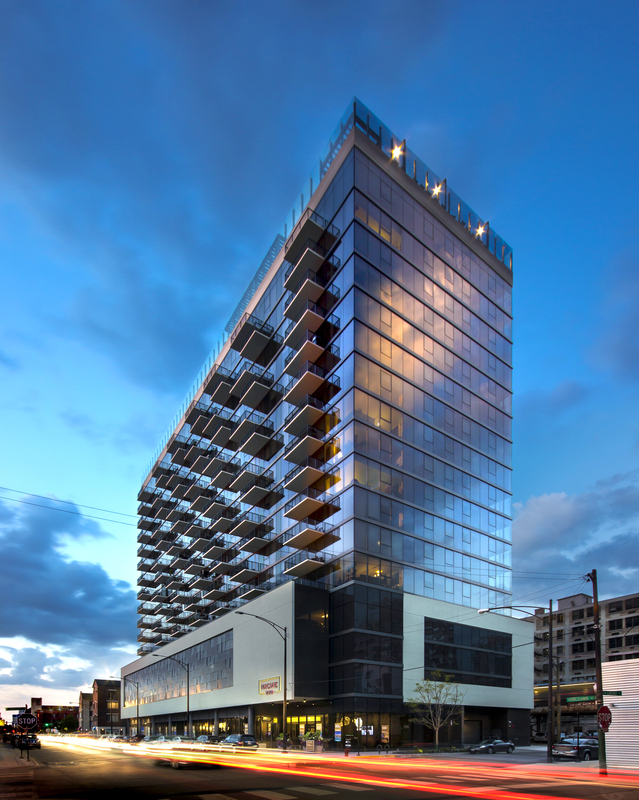 No tour or photo shoot is complete without a visit to the rooftop deck, which offers space to relax, grill with friends, or quietly read a book surrounded by views of Chicago and the sounds of the neighborhood.